Posted By:Unknown | At:10:52 PM Be the first to comment! I guess money is a thang. Something is going really wrong in the world of Jermaine Dupri. First his mansion in Atlanta goes into foreclosure and now he's being sued for back child support and taxes. What in the world is going on with our black celebrities? 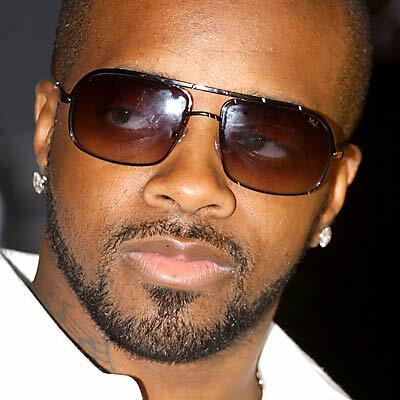 ATLANTA -- An Atlanta-area woman is suing music producer Jermaine Dupri over missed child support payments after a judge recently ordered him to pay her. Fulton County Superior Court Judge Margaret Dorsey told the Grammy-winning producer in March to pay $2,500 a month and an additional $7,500 to Sarai Jones, based on the results of a paternity test. Jones' attorney, Randy Kessler, said Jones hopes that she and Dupri "can work together to co-parent their beautiful baby girl," who is 7 months old. Dupri's lawyer, James Kane, declined to comment. The lawsuit was filed at a time when Dupri is facing financial troubles. Channel 2 Action News first reported that Dupri's mansion on Mount Paran Road in northwest Atlanta was in foreclosure and set to be auctioned on the courthouse steps, but the sale was canceled at the last minute. The law firm handling the foreclosure would not say why the sale was stopped. Suntrust Bank had started foreclosure on an original loan amount of more than $2.5 million. According to records Channel 2 obtained from the Georgia Department of Revenue, Jermaine Dupri Mauldin owes the state $493,768.75 in back taxes for 2007. Based off his 2006 income, Forbes.com said Dupri was one of hip-hop's top earners, taking home $12 million.